Showing results by narrator "Trevor Dutton"
In 1974, something came out of the sea during the invasion of Cyprus, killing Greeks and Turks indiscriminately until it was bombed into dormancy and entombed. In 1988 a rock band disappeared while filming on an abandoned island-town off the coast of Japan. In 1991, a squad of US infantry was attacked in Iraq by a bulletproof, invisible entity. 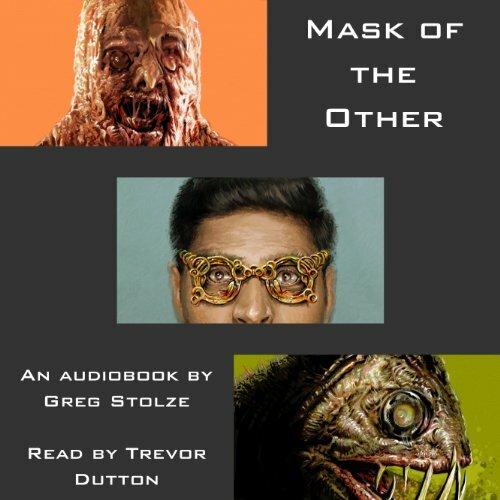 Mask of the Other connects these disparate events, as a group of soldiers plunders the remnants of Saddam's occult weapons program and attempts to engage with creatures of an inhuman mythos... as equals.